Looking for a new SUV in the Las Vegas area at a budget-friendly price? 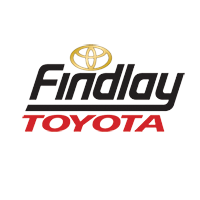 Explore our current lease incentives and offers on the mighty Toyota Highlander at Findlay Toyota. Seat up to 8 passengers in this new Toyota SUV, depending on which Toyota Highlander configuration you choose, and entertain them with the available Blu-Ray Entertainment System. Enjoy a elevated view as you cruise through the Pahrump and Mesquite highways with V6 power in your hands. Check out our current Toyota Highlander special offers on leases below! Beyond its powerful 3.6L V6 engine and spacious interior dimensions, the Toyota Highlander gives you the benefits of the renowned and trusted Toyota brand. Toyota Safety Sense provides a suite of active and passive safety technologies, including adaptive cruise control, lane departure alert, and forward collision warning. What’s Inside the 2018 Toyota Highlander?